A lot of new and amazing bars have opened in Bishkek. 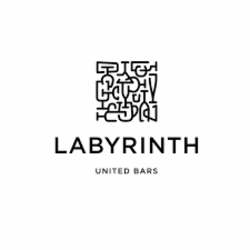 One of the most interesting new venue is Labyrinth United Bars, which features eight bars and a restaurant in one place. "Competition stimulates business" as they say - at Labyrinth it definitely is cause for great service in a good ambience. The right place for an energetic InterNations Cocktail Party to meet interesting new people and catch up with old friends. - Small beer, non-alcoholic drink or cocktail. After 22:00 the "official" InterNations Party ends, but we can stay and mingle with the nightlife scene of Bishkek as the place usually becomes pretty crowded around that time.